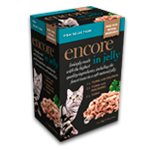 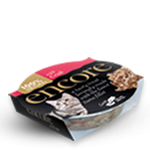 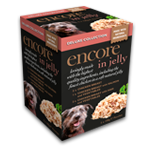 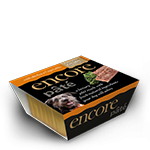 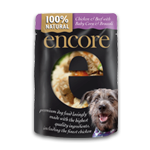 Encore jelly pouches contain a selection of protein rich applaws recipes in a natural soft jelly. 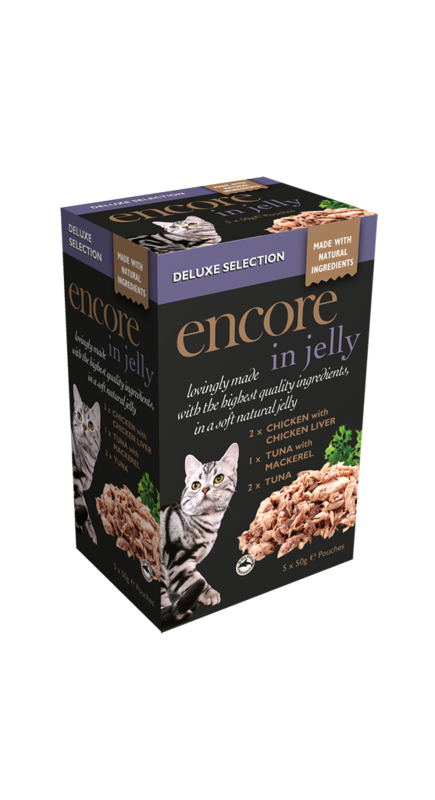 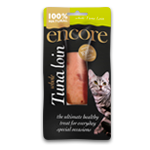 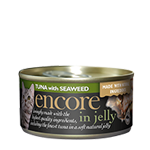 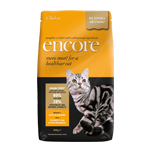 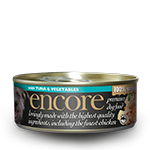 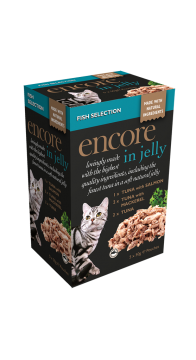 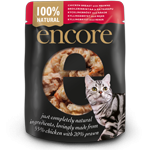 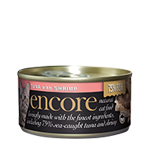 Encore jelly pouches contain a selection of protein rich fish recipes in a natural soft jelly. 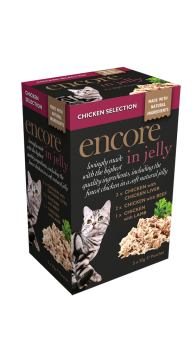 Encore jelly pouches contain a selection of protein rich chicken recipes in a natural soft jelly.